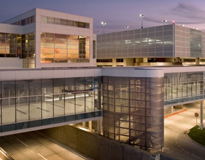 Building aviation facilities take a diverse set of expertise particularly when adding or renovating existing airport facilities. Pedestrian, vehicular and aviation traffic flow management is essential to keeping the public safety and running an efficient construction project. 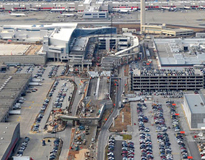 In the last twelve months alone, Manhattan has provided construction services for three of the busiest airports in the United States, including Hartsfield Jackson Atlanta International Airport, George Bush Intercontinental Airport, and Dallas/Fort Worth International Airport. 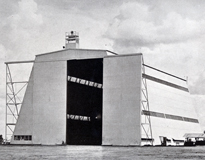 Manhattan completed its first aviation project in 1934, a balloon hangar at Henry Post Army Airfield at Fort Sill in Comanche County, Oklahoma. The famous hangar housed Dirigibles.